"Learn & Master Guitar is a phenomenal program. It's clear and concise and watching the DVDs is like having your very own guitar instructor in the room with you. The course is extremely thorough and well planned out. It's like having at least a year's worth of guitar lessons in one complete package! I wish a program like this existed when I was learning to play—it would have saved me a lot of time and frustration!!!" 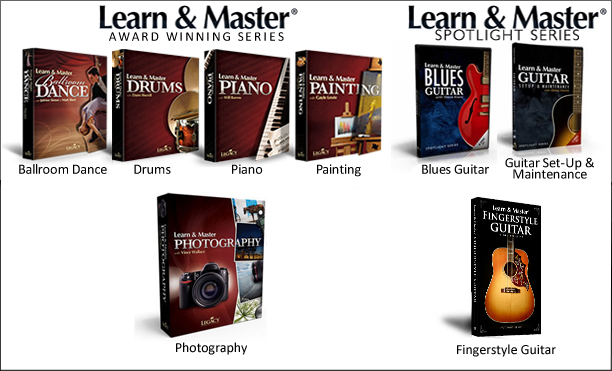 Gibson's Learn & Master Guitar is the world's best DVD-based guitar course that starts an aspiring guitarist at the beginning and builds to a master level of skill. With the Learn & Master system, you get a true multi-modal learning experience (reading, listening, watching, and doing). This is no "learn overnight" approach, but takes world-class guitar lessons to a more comprehensive level using multimedia training presented by expert instructor, Steve Krenz. This course is designed for those who want serious guitar lessons, learning the principles of reading, guitar tab, music theory, and technique. With Gibson's Learn & Master Guitar you enjoy learning in the comfort of your own home, and on your own schedule. We believe that learning should be fun rather than intimidating. You’ll love Steve’s “take you by the hand” approach in Gibson's Learn & Master Guitar. Most of us have that something we've always wanted to learn—to paint, or dance, or play an instrument. These are personal dreams we hold dear, but as time passes and life gets in the way, these dreams can sometimes slip farther and farther out of reach. Formal schooling is often out of the question for busy adults. Private lessons are pricey and inconvenient. So how do we rekindle these dreams and make them come true? That is the mission of Gibson's Learn & Master Guitar: To make difficult skills accessible through multimedia self-education courses and bring personal dreams within reach. 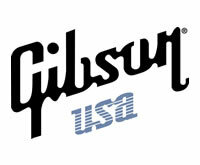 What Should You Expect from the Gibson's Learn & Master Guitar? All in One Place—With Gibson's Learn & Master Guitar, your lessons are laid out in an easy-to-follow, step-by-step progression with everything you need in one place. 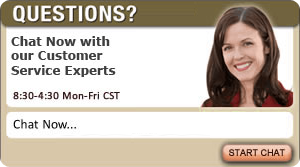 There is no need to buy countless training videos from a patchwork of sources. Comprehensive—Second, though this course is designed for beginners, it will take you far beyond the basics of the typical instructional video. We get you started quickly, but your lessons will take you as far along the path to mastery as you choose to go. You won't find a more comprehensive multimedia training course for guitar anywhere! Support Along the Way—Perhaps most important, you won't have to learn alone. Our Student Support Forum is an integral part of the learning process and is free for all of our students. Instructor Steve Krenz is on the forum every day and will be there for you when you have questions or need encouragement. Students who participate in this community are able to discuss their progress, post their successes, and interact with other students as often as you want. Our job is not finished when you buy our course. It is done when you have reached your dream of learning guitar.